Part-time firefighters now have access to health care under an interim final rule that took effect Tuesday. The policy change means more than 8,000 temporary seasonal firefighters and their families can access health insurance through the Federal Employees Health Benefits Program. The new rule also applies to fire protection personnel. Obama directed the Office of Personnel Management and the Agriculture and Interior departments to extend health benefits to part-time firefighters after he returned from his recent trip to Colorado to assess the Waldo Canyon fire. “OPM is committed to making the process for signing up for FEHB coverage simple and streamlined so that the firefighters covered by this rule can secure their new benefits with minimal burden,” the rule stated. The agency issued the regulation as an interim final rule, waiving the notice of proposed rule-making and the 30-day period before a rule is implemented to ensure the policy goes into effect immediately because of the extremely active 2012 wildfire season. The office also included a provision permitting agencies to request health care coverage for other employees who provide emergency response services and are not currently eligible for FEHBP. An online petition to provide health care coverage for part-time firefighters helped bring widespread attention to the issue, resulting in Obama’s directive. John Lauer, a federal firefighter from the Custer, S.D.-based Tatanka Hotshot firefighting crew, started the campaign two months ago. The petition collected more than 126,000 signatures nationwide. 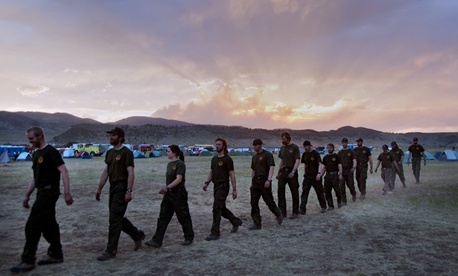 In the past 12 years, 179 wild land firefighters have been killed in the line of the duty. Wildfires are most common from May through October, so many federal firefighters are seasonally employed and often pack a year’s worth of work into six months. Because of the nature of their job, many suffer from respiratory illnesses. “I speak on behalf of my own crew when I say that everybody is extremely grateful for the support,” Lauer wrote online after the news broke of the change. “This is going to make a real improvement in the lives of thousands of people and their families. Thank you.” Lauer’s godson, Rudy, was born prematurely and his parents were saddled with $70,000 in hospital bills because they didn’t have health insurance. Rudy’s father is a seasonal firefighter.